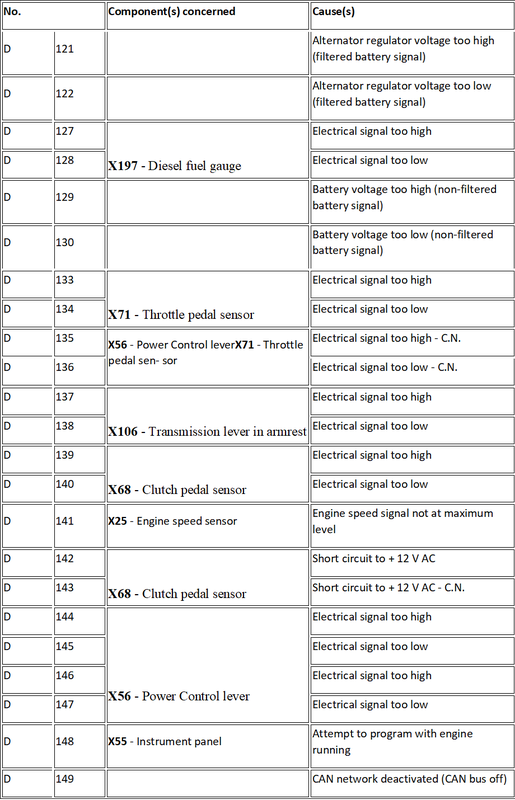 D 135 X56 – Power Control leverX71 – Throttle pedal sen- sor Electrical signal too high – C.N. D 136 Electrical signal too low – C.N. D 143 Short circuit to + 12 V AC – C.N. U 2859 2 Message: Range error of UreaQ/Heating or Dosing Status/PTO/ Exh. gas mass or temp. U 2867 2 CAN Frame Error: Range error of Boost pressure or Intake Man- ifold 1 Temp. 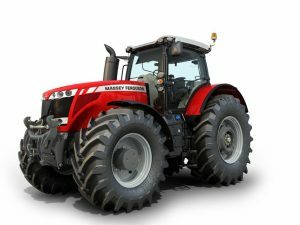 X15 – PTO clutch speed sensor NEUTRAL speed selection, PTO not activated, X15 displays a speed, the clutch disc does not separate, PTO brake does not engage selected speed, PTO clutch 100% engaged, over 20% difference between PTO clutch speed and engine speed. PTO clutch disc slips: clutch slippage. PTO clutch speed is lower than output shaft speed, X15 sensor supply voltage error. X16 – PTO shaft speed sensor The PTO shaft speed is higher than 1300 rpm, signal error (X16 or X15). The selected speed is lower than the PTO output shaft speed, X16 sensor supply volt- age error, speed solenoid valve (X4, X3) locked in “de- activated” position.